Summer is almost here and we are ready to spend more time outside, plan vacation getaway and go out more often. As a result we unavoidably spend more time under the sun, style or hair more often to look pretty(no more winter hats) in attempts to catch summer waves and enjoy it to the fullest. Using hot styling tools like blow dryers, flat irons and curling irons directly on your hair without using any protectants can cause damage and breaking. Year around our hair requires extra protection, for example during winter season when the air is dry or summer time when an exposure to the sun affects our hair and makes it dull, dry and brittle. That’s why so important to use hair protectors. I can always appreciate a good hair protection spray and was excited to try Shielo Leave in Hair Protectant. I like it for making my hair soft and tender treating it after our long Canadian winter and now I need it for sure for upcoming hot summer. Shielo hair protector provides an amazing UV protection. When I use this product I feel that my hair fills with energy and strength. Leave in Protectant made with organic ingredient (no parabens or harmful ingredients) only. It smells so good that you will love to spray your hair every single day. Shielo’s unique protective complex, enriched with pro-vitamins and proteins, repairs, strengthens and smooth hair. I use it not only after exposing my hair to hot temperature but also after visiting a swimming pool. Shielo Leave in Protectant can be used on clean dump hair and throughout the day. Rich in White Tea antioxidants, it provides an effective color protection no matter if hair is natural or color-treated. I have long hair and keep it shiny, stylish and fresh I need two boxes of hair color almost every week. For me Leave in Protectant is a winning combination of making my hair smooth, sleek, strong and healthy, enhancing hair color and helping in detangling. 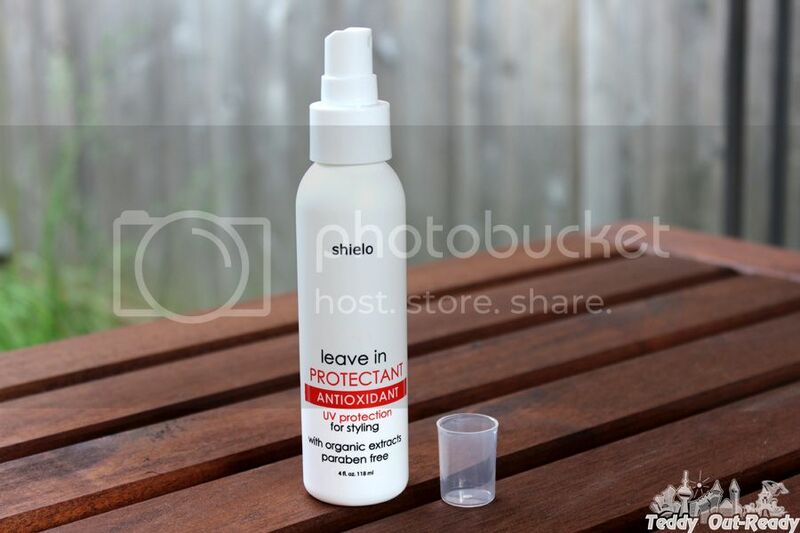 Excited about long summer days and want to enjoy them with beautifully styled hair, then check Shielo Leave in Protectant! For more information about Shielo and their beauty products, please check company website.